Followers of Jesus of many races, cultures and church affiliations in Metro Detroit have united together to labor side-by-side in the ripe harvest fields of our city. God is using this movement to reach the lost and hurting and as a powerful force of racial healing and reconciliation in our city. There is so much hurt, but over and over again God has proven that He cares for the broken. He is simply waiting for His children to go out and touch them so that they can know His hope and salvation! In worship and prayer, we pursue the heart of God for revival. Join followers of Christ from around our city for an evening of worship and prayer, and to commission Ignite young adults into service. 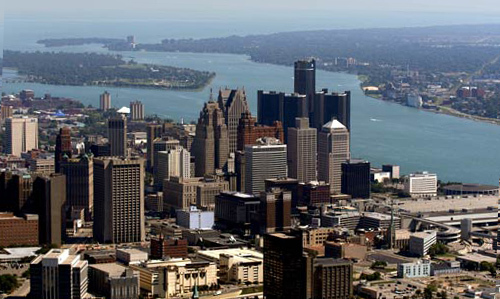 Followers of Christ will gather at 1:30PM at 3 strategic Detroit communities to cover the communities in prayer. This will bring hope right to the doorsteps of the people. We need you to join us for this powerful outreach! God will change our city as we pray and walk obediently in the Great Commission! Join us in this powerful outreach! A mission and discipleship experience for young adults who are hungry for God—to ignite their passion to become a world-changer in their city. Ignite is a call for young adults to live 1 Timothy 4:12 and to become passionate about, and empowered in, reaching the lost around them. The experience is informative, challenging and life-changing. Through strategic prayer and outreach, followers of Christ will unite together to bring the hope of the Gospel of Jesus Christ to the streets of our city. Through evangelism, prayerwalking, outdoor worship, children’s and youth outreaches, and more, we will fulfill the mission of our Savior to “seek and to save those who are lost.” Join us as we bring hope to the doorsteps of people!